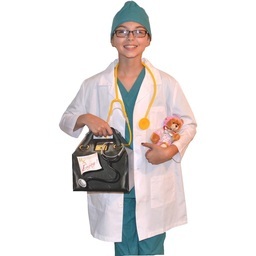 My Little Doc can help your son or daughter get into character. 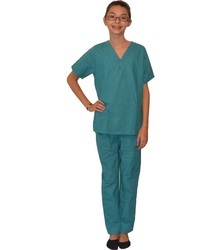 These comfortable Kids Doctor Costumes come in a variety of colors, and you can even have the clothing customized to feature your child's name. 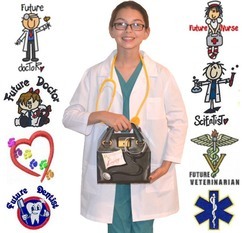 Embroidery also includes designs that help children to express their interests, there are designs for future Doctors, Nurses, Veterinarians, and Scientists. We offer super fast shipping and RUSH Embroidery for personalized items. 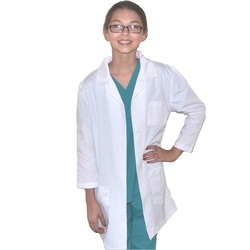 Your little doctor will love wearing this fun Kids Lab Coat. Your little doctor will love wearing this authentic costume. Your Future Doctor needs one of these costumes!